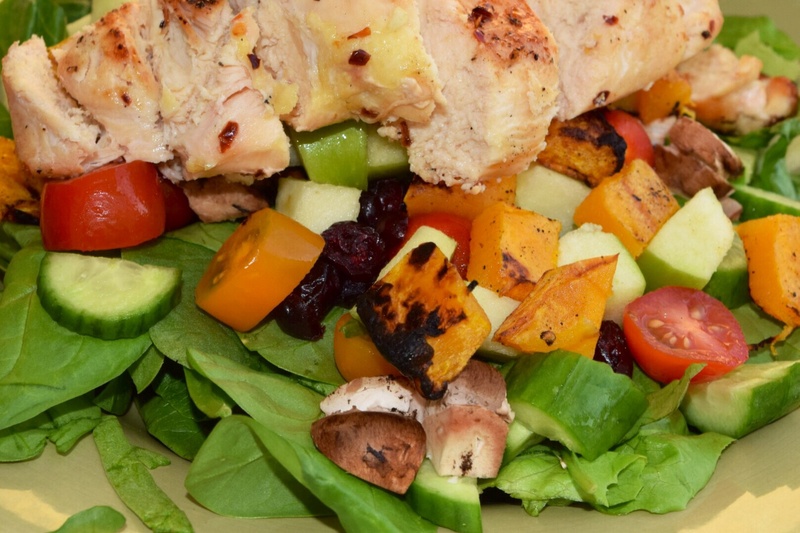 Grilled Chicken Salad with Roasted Squash & Cranberries – T.W.O. Published on September 18, 2014 September 17, 2014 by T.W.O. It’s not officially Fall, but that isn’t stopping T.W.O. 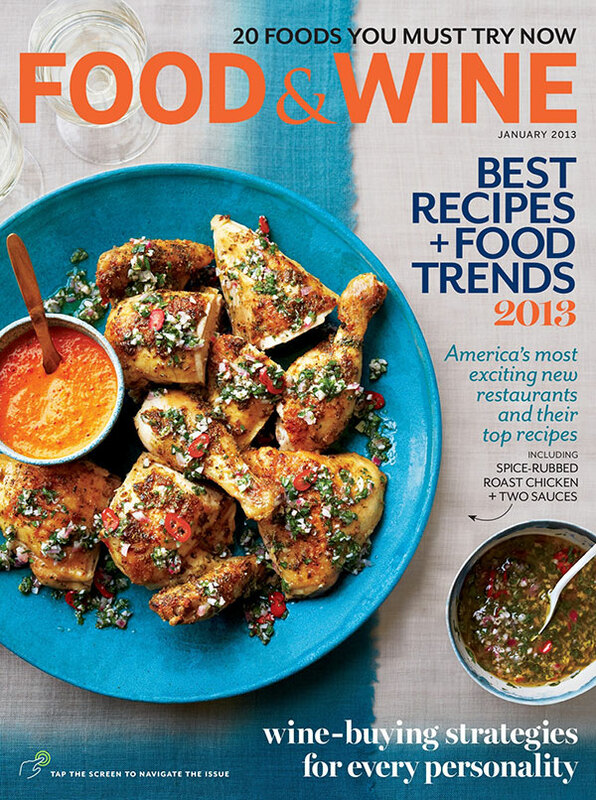 to slowly start introducing Fall Foods into their recipes. Since it’s still warm out, we decided to take this semi-Fall dish and throw it over a bed of lettuce. 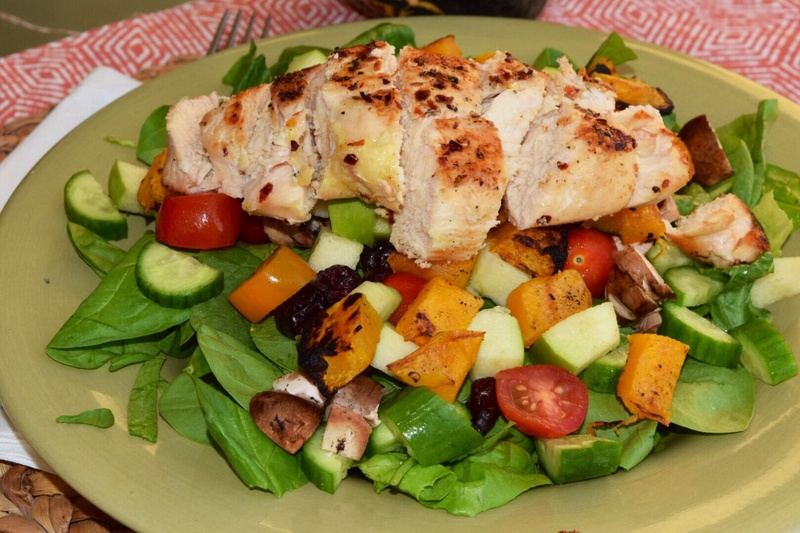 Check out how we created this delicious, sweet tasting transitional salad. 1. Preheat the BBQ to medium heat. 2. Season the chicken breasts with garlic powder, chili flakes, Krazy Salt and pepper. Set aside. 3. Cut the butter butternut squash into flat slices so they can be put on the grill. Season with olive oil, cinnamon, nutmeg. Set aside. 4. 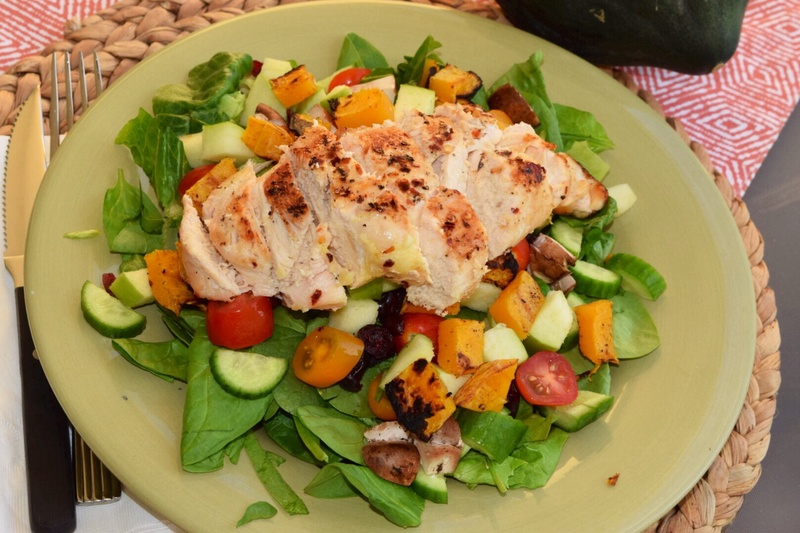 Once the BBQ is heated, place the butternut squash on the grill along side the chicken. Make sure not to turn the heat up too much, you don’t want to burn your squash. Cook for 20 minutes or until done. 5. 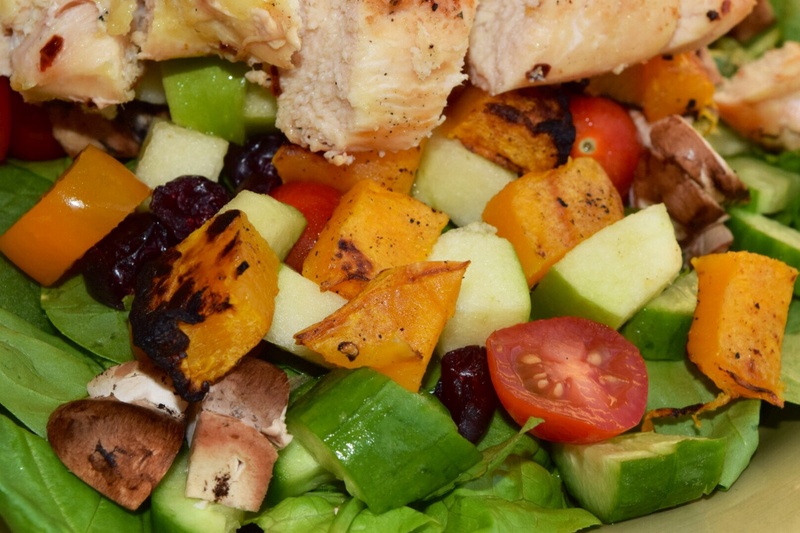 While the chicken and squash are cooking, chop all the vegetables for your salad. Plate and add dried cranberries. 6. 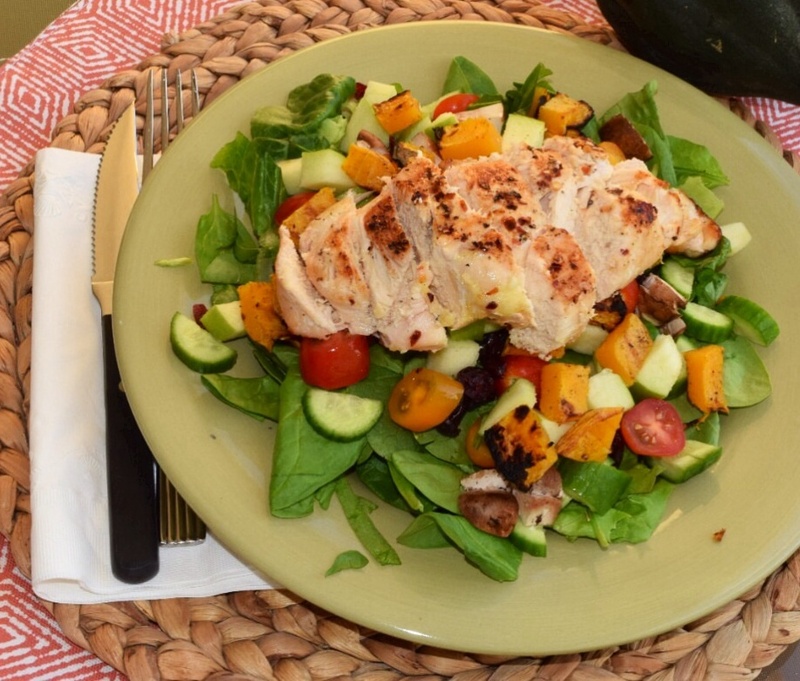 Remove the chicken and squash from the grill. Slice the chicken and cube the squash. 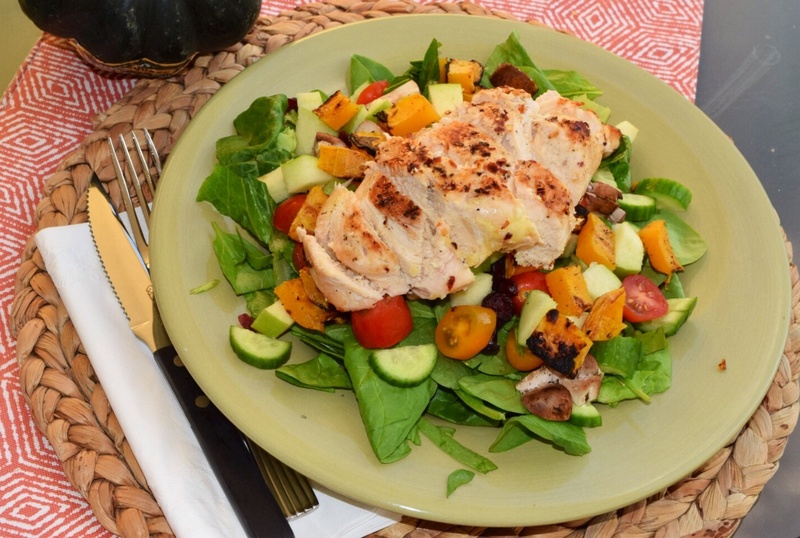 Add to the salad topped with the pear champagne vinaigrette. 7. Grab your utensils and enjoy! Yum!! I love the combo of flavors here – so perfect for fall! I love that you called this “fall-ish” lol and it looks delicious!